With a rich history of sports car excellence, the Porsche 718 Boxster is a sought-after and sleek convertible that’s available in two trims: 718 Boxster and 718 Boxster S. If you crave the freedom of the open road, as well as the luxury of a Porsche, this two-seater is a must-drive. 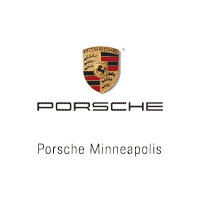 Porsche Minneapolis in Minneapolis is thrilled to offer 3 new 718 Porsche Boxster convertibles for sale! Below, you’ll find our full lineup, along with detailed descriptions of each vehicle for your reference. Contact us with any questions about the 718 Boxster or to schedule a test drive near Wayzata! Don’t forget to browse our current new vehicle specials for any offers on the new Porsche 718 Boxster for sale!